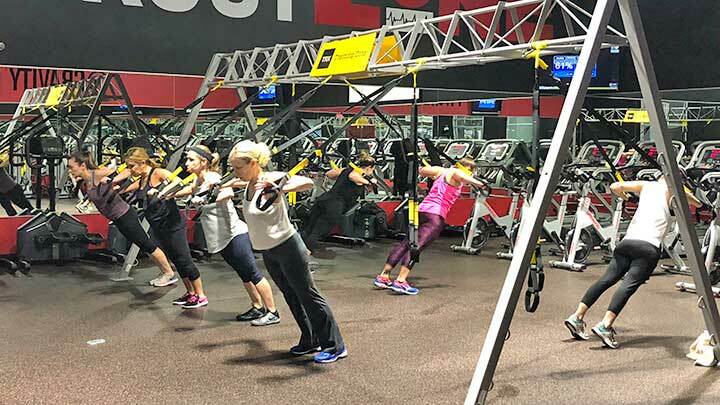 TRX is a full-body strength workout that utilizes a person’s own body weight instead of relying on machines or dumbbells. TRX classes use the TRX suspension training system for a full-body workout. With TRX, your body creates the resistance for the resistance exercises! The TRX bands give you the freedom of mobility. You are able to move around differently than you would be able to on your own, creating a foundation for core stability. The workout targets all of your muscles groups, but there is a lot of emphasis placed on the core. © 2018 Four Seasons Fitness. All Right Reserved.